HJR 13 : Proposing amendment to Oregon Constitution relating to firearms. Position: Oppose Status: Referred to Judiciary with subsequent referral to Rules. Hearing scheduled for April 17, 1 PM, Hearing Room 50. 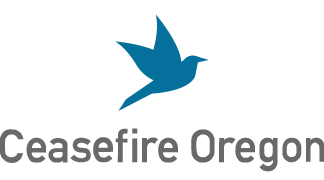 Ceasefire Oregon opposes this bill because it does not provide necessary constitutional protections to people. The amendment proposed by this resolution shall be submitted to the people for their approval or rejection at the next regular general election held throughout this state. The -1 amendment to this bill changes the wording to: "A law authorizing a police officer to, after stopping a person in a manner authorized by this Constitution and the laws of this state, ask the person if the person is in possession of a firearm is not a law violating the right of the people against unreasonable search or seizure as described in subsection (1) of this section." Even with the -1 amendment, Ceasefire Oregon has concerns about the constitutionality of this bill and, therefore, cannot support it. BACKGROUND: In State v. Jimenez, the Oregon Supreme Court ruled that the Oregon Constitution’s protection against unreasonable search and seizure does not permit police officers to “make routine weapons inquiries in all traffic investigations.” Section 9, Article 1 of the Oregon Constitution protects the right of the people against unreasonable search and seizure. House Joint Resolution 13 proposes an amendment to provide that a law authorizing police officers to ask a person at any time if the person is in possession of a firearm is not a law violating this constitutional provision. HJR 13 refers this proposed amendment to the people for approval or rejection at the next general election.